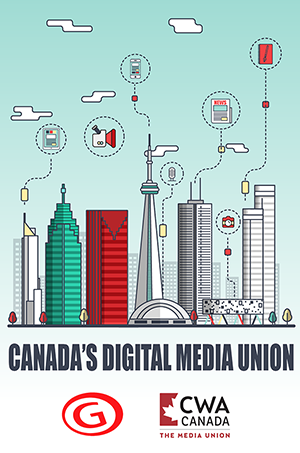 CWA Canada • The Media Union – Canada's only all-media union representing 17 locals across the country. Talk about wearing your heart on your sleeve, when you love your union! The executive of CWA Canada Local 30241, the North Bay Newspaper Guild, includes (from left) President Diane Fink, Jennifer Hamilton-McCharles, Glen Couvrette, Gord Young, and Jim Steffann. 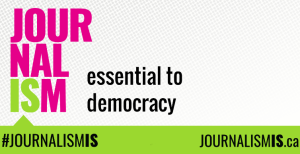 Welcome to CWA Canada, the country’s only all-media union. We’re standing on guard for quality jobs and quality journalism. Please stand with us — together we’re stronger!